There really is news in and around Ponte Vedra. Here’s a recap. The Assisted Living/Memory Care facility on Solana Road is set to open September 15. 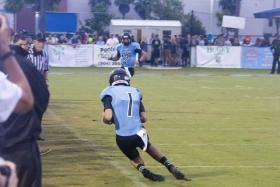 The biggest local football game of the season, PVHS vs. Nease, was last night. Burrito Gallery is coming to Jacksonville Beach. And theres a look at “Healthy Town.” There’s much more to read about than the weather here in Ponte Vedra.